The FRCH Design WorkWide architecture studio, with the great support from Butech and the PORCELANOSA USA team have been in charge of installing this impressive ventilated facade made with KRION®. 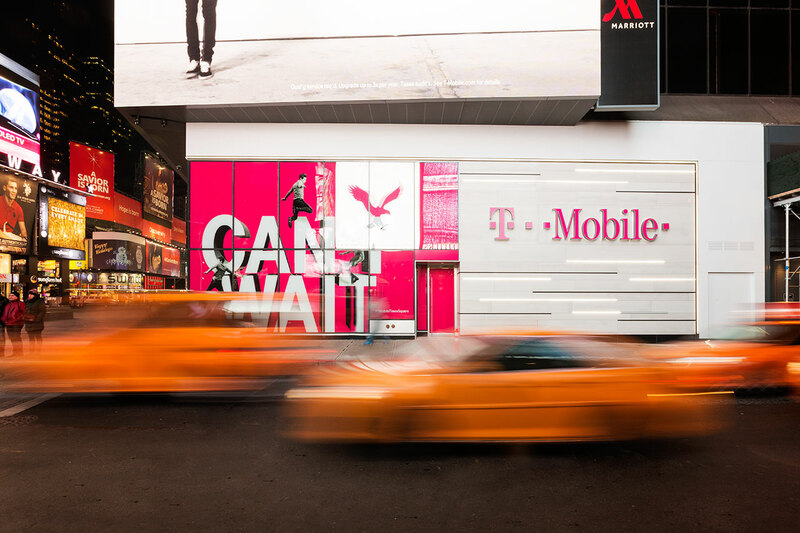 The company T-Mobile has selected one of the most emblematic and recognisable locations in the world for its flagship store in Manhattan, Times Square, on 46th Street and Broadway. This spectacular location has been used many times in films, making New York one of the world’s most recognisable cities, thanks to its skyscrapers, the Brooklyn bridge and the Statue of Liberty. There is a long list of places which make us feel familiar with the city; but Times Square is certainly the best image for summarising the idiosyncrasy of New York. The facade is made up of 70m2 of Snow White, the most popular colour of KRION®, the compact mineral from PORCELANOSA Group, which along with the innovative K-FIX hidden attachment system, guaranteeing fast installation, makes Butech and KRION® the best solution. We would like to take this occasion to thank FRCH Design WorkWide and T-Mobile for their trust in PORCELANOSA and our material, KRION®.